Today's computers and software give you all the tools for graphic design. Now we give you the inspiration. 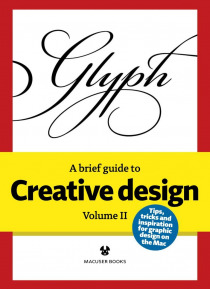 In this concise reference series from the publishers of MacUser, design professionals and tutors explore artistic and technical topics to kick-start your creativity, linking real-world examples to your own design practice. Designed as beautifully as a printed book but tailored for screen read… ing, with clear typography and illustrated examples, A Brief Guide to Creative Design lets you develop your skills wherever you are.